A PPP poll out today suggests Newt 2012 will go down as the mid-afternoon belch you get from a slightly-too-greasy ham sandwich: a reminder of an unpleasant episode in your life that fades in plenty of time for dinner. 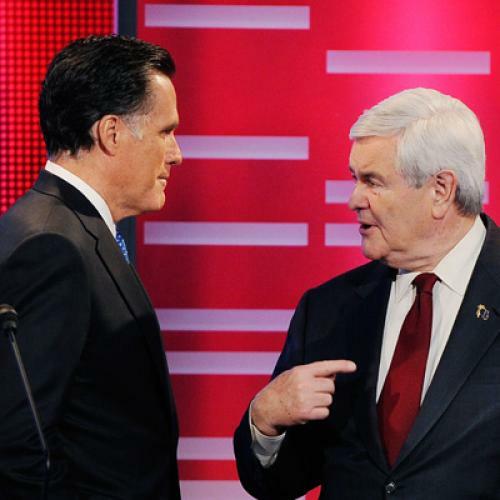 Gingrich has now seen a big drop in his Iowa standing two weeks in a row. His share of the vote has gone from 27% to 22% to 14%. And there's been a large drop in his personal favorability numbers as well from +31 (62/31) to +12 (52/40) to now -1 (46/47). Negative ads over the last few weeks have really chipped away at Gingrich's image as being a strong conservative--now only 36% of voters believe that he has 'strong principles,' while 43% think he does not. While true, this is only the proximate cause of his demise. The real cause is that Newt was never really running for president. If you’re running for president, you raise money, build a campaign apparatus, devise a strategy that amplifies your strengths and minimizes your weaknesses. Mitt Romney is exhibit A for what it means to run for president. Gingrich never did any of these things. And so, when the inevitable hazing came—and for Newt it was more inevitable than for most—there was zero infrastructure for managing and pushing back against it. Newt’s only chance was to catch his wave with less than a week before Iowa, by which point it would have been too late for Romney and the GOP establishment to respond. Anything else just wasn't going to work for him. And it didn’t. Of course, the beauty of not running for president--of not even wanting to be president--is that you're not exactly heartbroken when it doesn't happen. My hunch is that Newt is perfectly happy to have achieved mere plausibility, however fleetingly he enjoyed that status. It's far preferable to actually running a campaign, to say nothing of occupying the Oval Office.